Egypt is a land of dreams for travelers looking for a bustling destination with a vibrant culture. For Europeans, Egypt has been a popular spot (among Turkey and Tunisia) to go for a resort getaway with occasional day trips to Luxor and Cairo. Growing up, I remember seeing many chartered flights to Sharm El Sheik and Hurghada, and everyone and their mother has been to Egypt. It’s no surprise that Egypt has been the first place I traveled to solo after my high school graduation back in 2007, at the age of eighteen. However, Egypt for Americans has never been a ‘hot spot’, but after my second independent trip to Egypt I can say that it surely should be! Here’s everything you need to know about visiting Egypt. First things first: is Egypt safe? Absolutely! When I visited Egypt back in 2008 safety wasn’t the biggest concern. Unfortunately, nowadays most of the Middle East is currently in a political or social unrest, but we often forget to see the difference between Egypt and the rest of the Middle East. Sure, there are some regions which are not safe, but there are also regions where are perfectly fine. Just like in any other country and city. That said, everywhere in Egypt I was told that the only rules for tourists in Egypt are to “enjoy and feel like at home”. As you may know by now, Egypt is NOT on the travel alert or travel warning list for the U.S Department of State. I was very saddened to read a lot of other blog posts saying that everyone in Egypt wants your money, as it’s absolutely not my experience. I met locals trying to help me on numerous occasions, asking me if I’m all right, feeding me good food. Everyone was nothing but nice to me. When to Go to Egypt? Don’t make my mistake during my first visit by going to Egipt in the summer. In summer, temperatures can get up to 45 degrees Celsius in dusty, so Luxor and Aswan are unbearable. Remember that nights can be freezing so bring a sweater and a pair of warm socks. Trust me, you can thank me later. The best time to go to Egypt is surely between October and April. The tourist high season is considered from December to February, so if you come slightly out of season you will also enjoy cheaper hotel prices and fewer crowds. Also, make sure to avoid traveling during Ramadan. How Much Does it Cost to Travel to Egypt? Not much. Egypt is comparatively cheap if you’re coming from a developed nation. For a bed in a dorm, you’ll usually pay about $4, guesthouse would be about $12 per night and a higher standard shouldn’t be more than $150. If you’re backpacking you could get by for $30 a day without any issues. The most expensive thing I paid for in Egypt was my hot-air balloon flight ($50). Always carry a lot of coins and small bills. You will have to “tip” many times a day, for all kinds of reasons. While you don’t HAVE TO do this, it’s customary to for instance give some coins to a bathroom lady who hands you a few sheets of toilet paper. I was completely fine with tipping here and there, especially after visiting some of the poorest neighborhoods of Cairo and Luxor. I enjoyed the food in Egypt very much. I ate anything from basic kebabs to local vegetables and rice, through the most traditional dish – Koshary. It’s a mix of rice, macaroni, and lentils topped with tomato-vinegar sauce and fried onions. If you’re staying in local hostels or hotels be prepared that you’ll be served a LOT of food. Quite often for breakfast, I was receiving a few bread rolls, 8 balls of falafel, hummus, omelet, hard boiled eggs, french fried, yogurt and a fresh smoothie. It was impossible to eat it all! Domestic flights in Egypt as affordable and great. You’d be looking at two airlines: EgyptAir and NileAir (I can only personally vouch for EgyptAir and they’re great). For a flight from Cairo to Luxor or Aswan, you’ll pay about $50-80 one way and the flight takes about an hour. If you’re on a strict backpacking budget, you might want to look into Go Bus. Their buses are very comfy, cheap and easy to book on the website or app on your phone. Sleeper trains are another popular way of traveling, but since my flight to Luxor cost me the same as the sleeping train would have, the choice was obvious. There is a cruise on the Nile that starts in all of the touristic cities, and most tourists decide to do it. Many travelers think the Nile Cruise is the only way to get to some places, which isn’t true as the same places can be reached by car or bus. Keep in mind that it’s not going to be a very local experience hanging out at the pool and eating touristy food on the boat. There’s absolutely nothing wrong with that but it might not be everyone’s cup of tea. I opted for a cheaper version staying in local guesthouses. In Cairo, you can take Uber anywhere and it’s extremely cheap. For instance, an average taxi trip from Cairo Airport to downtown Cairo should not cost more than 50-60 LE, whilst a journey from Cairo Airport to the Pyramids go for 100-110 LE. Day 1: (Cairo) Arrival Cairo & transfer to hotel for overnight & Sounds & Light Show at the Pyramids. Day 2: (Cairo to Hurghada) Visit the Pyramids, Sphinx & Saqqara. Afternoon visit to the Egyptian Museum. Flight to Hurghada. Day 3: (Hurghada) Snorkeling with dolphins (wild, not captive), afternoon desert ATV trip. Day 4: (Hurghada to Luxor) Morning relax at the hotel. Afternoon transfer to Luxor. Day 5: (Luxor) A trip to West Bank (Valley of the Kings, Hatshepsut Temple, Medinet Habu & more…). Sound & Light Show at Karnak Temple. Overnight in Luxor. Day 6: (Luxor) Early morning hot-air balloon flight. Visit Karnak Temple and Luxor Temple. Afternoon relaxing felucca. Day 7: Domestic flight to Cairo for those finishing the tour here. If you’re up for a long visit, you can also head to Aswan and Abu Simbel Temple. Ramesses II built two profoundly captivating temples. They were carved solely out of a mountainside in order to immortalize himself and his much-beloved wife Nefertari. However, it was relocated in 1959 when it got sponsored by international donations in order to save it from being flooded by the Nile river. Thankfully, the iconic majesty of it was preserved thanks to the careful work overlooked by UNESCO. The four 20 meters high colossal of the Pharaoh himself is dazzling. 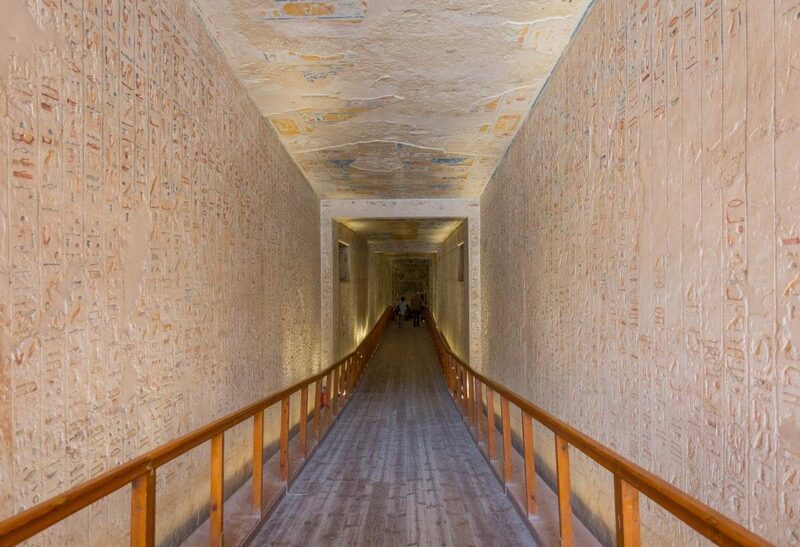 The inside hall is supported by 8 gigantic Osirid pillars, all 18 meters long – walking down this hall in an enthralling experience itself. Day 7-10: (Aswan) Transfer to Aswan from Luxor. Visits to Edfu, Kom Ombo & Abu Simbel Temples. Exploration of Aswan’s highlights: Nubian museum, High Dam & the unfinished obelisk. Late flight to Cairo. Day 11-12: Tour to the Bahariya Oasis and white sand desert, therapeutic hot and cold springs, Gebel al-Ingleez, Gebel Dist and The Temple of Alexander the Great. Day 13: Final departure from Cairo. For those leaving in the afternoon a visit to Hanging Church and Saladin Citadel. Traffic jam and driving in Egypt, particularly in Cairo, can be quite intimidating. But don’t be afraid to cross the street. Egypt gets extremely hot, particularly during the summer, so stay hydrated. If you want to save on bottled water get a LifeStraw Water Bottle . You can fill it anywhere even with water from a puddle! Always haggle a bit and never say yes to anything without discussing the price first. Bring your own toilet paper. The toilets here have a built-in bidet spray nozzle. Previous Post Announcing My First Blogging Retreat/Course in September 2018! I went on a tour in Egypt (with Contiki) in 2012 and it was a great way to see the country! I’m usually an independent traveller but by going on a tour I was able to see so many more things more easily. My boyfriend visited Egypt in 2010 on his own and we both agree that I learned, and saw, a lot more than he did. The attractions have no panels explaining the history so you basically need a guide to understand the significance, and I saw all of the top sights around the country in 8 days because I didn’t have to figure out the connections on my own. I would definitely recommend doing a tour in Egypt! So worth it! I visited Egypt in 1999. I left my film and guide book underneath the colossi of menmon and lost most of my photos. But it was a blast and just staggering at times! 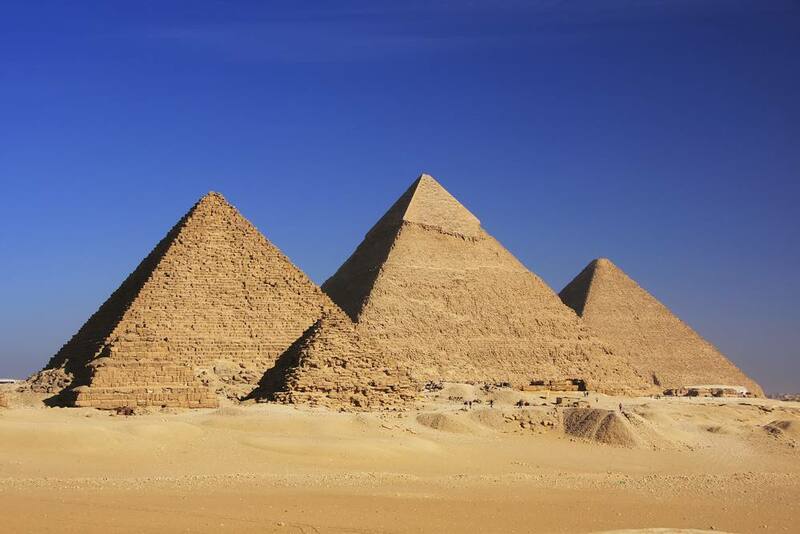 Egypt looks great – would love to see the pyramids one day! Thanks for the awesome roundup. I’ve used to plan private guided tours in Egypt. I found your post so awesome filled with many useful tips and information for both locals going around and foreigners who want to visit the country. Thanks so much for sharing. The tips section are sadly very true. I agree with you that you shouldn’t say YES to anything until you negotiate the price. Unfortunately, The ‘Bakshish – Tips’ concept is a sad fact here in Egypt. It’s mainly due to the low paid jobs and minimum wages. I will check more adventures on your blog and will keep following you. I have a 10 year old son who is in a wheelchair and a 8 year old daughter. In April 2017 we flew on Easy Jet from London Gatwick to Hurghada on Egypt’s Red Sea. Our route was Hurghada to Luxor to Cairo to Aswan to Luxor to Hurghada. We took a coach from Hurghada to Luxor and then travelled by train. It was difficult to buy day time train journeys. We had to take a night train from Cairo to Aswan. The pyramids weren’t suitable for the wheelchair. This caused us a lot of trouble. We stayed safe and mostly enjoyed our trip. While we were in Hurghada 44 people had been killed elsewhere in Egypt. Avoid visiting a Coptic Church. 44 people killed everywhere in Egypt is disturbing to read. But, were they terrorist attacks, random murders, gang related??? Hundreds get killed everywhere but still not scary to visit. Important to know what were these killings related to. Hi! My adult daughter and I are planning to take an Egyptian private guided tour w/ Nile cruise included ( Memphis tours). My concern is: is it safe for just 2 females to take private tour? Egypt has been on my bucket list for years! I am 71 years old and I feel if I don’t do it in October, I may not be able to do it at all. I’m not sure your dates but I must reply. I traveled last March (2018) withMemphis Tours we are 67 and 75 ladies DO NOT hesitate just go. Memphis guides are the best they had us every step of the way! In fact we looked forward to alone time in the excellent hotels we were provided and only wished for more time. luxury again bar a return trip. Same with Cruise upgrade as possible. Royal Sonesta was great. Enjoy. Egypt is wonderful and I highly recommend anyone to visit. Yep, heading back to Egypt as we speak! This is the best blog post I’ve read in a long time and so inspiring. I see so many people driven to travel to places due to ego and it drives me mad. Thank you for such an honest portrayal of your trip! Egypt sounds like an incredible destination and I’d be interested to see how it continues to shape your attitude to travel and future destinations. Please keep up the good work, cheers ! I’ve been to places around the Red Sea five times in my life, but I have never visited any of the major sights in the country. Needless to say, I’d like to go back! I’ve been to the Saint Catherine’s Monastery in the middle of the Sinai and I loved it. However, I guess it’s one of those places you can’t visit anymore. I hope the troubles are over soon for Egypt and its local’s sake.I have experienced the same while travelling to Egypt, And after all, you have said exactly what I have been trying to say to all people. Egypt is now in a safety zone residing stalking problem. The tour guides are also very friendly. I have been to Egypt through ask-Aladdin because of the recommendation of my friend but I think every tour guides are good. Great comment, however it is important to note, not all of Egypt is on alert of danger. The danger is in the North. I visited Egypt in 2003. I left my film and guide book underneath the colossi of menmon and lost most of my photos. But it was a blast and just staggering at times! Could you expand on your advice not to visit during Ramadan? Thanks! To respect the locals you wouldn’t be able to drink & eat during the day. Agreed, I read this article before I went it helped to put things in perspective for me https://pinkpangea.com/2017/07/why-i-hate-being-asked-felt-safe-egypt/. Seems to have the same sentiment. Looking forward to following along more of your travels! Totally agree with this article! I would love to explore places and Egypt is one of my favorite places especially the pyramids. Egypt, one of the most well-known places because of its unique culture. When I had a visit to that place, to my surprise the place is totally different from my thinking. Its pyramid of Giza is a treat to watch. And If I have to say about safety then it is a very safe place. The most attractive places in this place are the museum, pyramids, camel ride etc. For my trip, my friend suggested me about askaladdin which helped me a lot. Egypt has always been a favorite destination for tourists from all over the world. Egypt is, and always will be, a safe country to visit. Wow…..!! I am quite excited to visit all the places in Egypt by reading this article. Thanks for sharing everything about Egypt in one post. Nice article ANNA! , i’m planning to visit Egypt in September. Actually i had a strong wish to visit mysterious Egypt since my childhood after watching the “Mummy” movie . lol Pls suggest me . I think I got lucky both times. A few times I experienced issues with taxi drivers, but especially in Luxor, they were all very friendly. In Cairo I used Uber so I don’t have to haggle. Thanks for such an informative post. You have mentioned all the information in your post so that every person find a profit from it. Now I am very very excited to visit Egypt. You have described all of Egypt in one post. Thanks once again for such a lovely post. can you please recommend the dolphin tour in Hurghardar as a solo traveller? Great post! My partner and I are excited to take advantage of some of your suggestions for our trip in February! Read real newspapers rather than Daily Mail and believe me you won’t be afraid of Muslims as much as you are today. Also, your trip to a Muslim country should also help you see and understand the real Muslims. Trust me, they are not as bad as you’ve thought. Tips as much as you feel like tipping is my general advice anywhere 😉 But don’t tip security guys at the airport etc. Currently visiting Egypt now! Thanks for the itinerary ideas. We can’t believe how cheap the uber prices are to get around and it’s definitely a plus to not have to haggle the price. I am planning a trip in march with my brothers. I loved you blogs. These are so helpful and answered many of my questions. 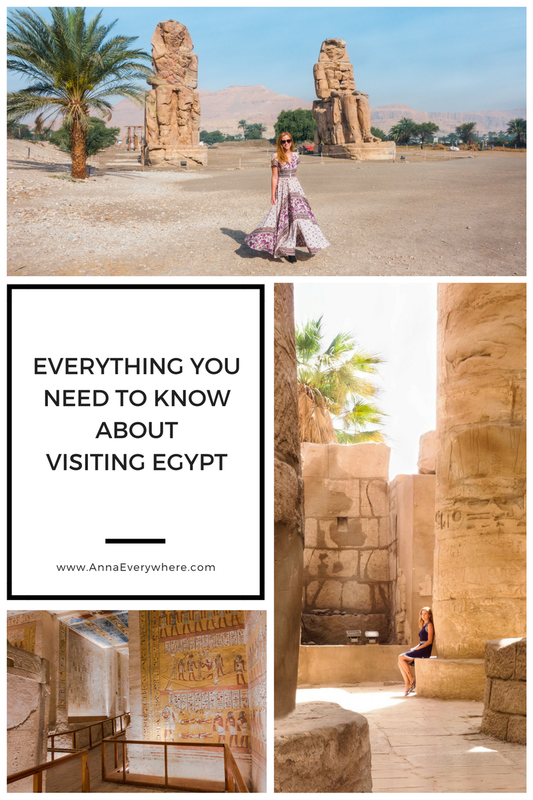 I loved your Egypt Itinerary that you mention in this blogs. I am planning on following it for my trip ( I hope you don’t mind ..lol). I was wondering the flights between the cities you took , did you book them before going to egypt or did you book them while you were there. Same goes for the hotels, did you get a hotels is all the cities you visited. Also the tours you took , did you book a tour from website or just did them by yourself without a guide. How much will you say your trip costs you overall. (if you don’t mind me asking). I’ve had booked everything before going to Egypt, but you can easily book everything in Egypt as well. Assuming it’s not all fully booked so I played it safe 😉 I booked private drivers I found in Egypt, same with hot-air balloon tour. I honestly don’t remember the trip price in total, but I’d say that it definitely didn’t exceed $1000. Hi, I am planning the trip with my 12 years old son and wondering how safe is to go from Cairo to Aswan by sleeper train. I was very confident that it’s ok to go but also read that it’s not a good choice and it’s better to use trains during the day. Please advise . Watania Train is more than fine, you have your own cabin. Egypt is an awesome place for traveling. I have been there for two times and planning again next year. The above points really give some idea for the travelers going first time there. Thank You! This made me feel so much better about finding my way around. I would love to visit someday. 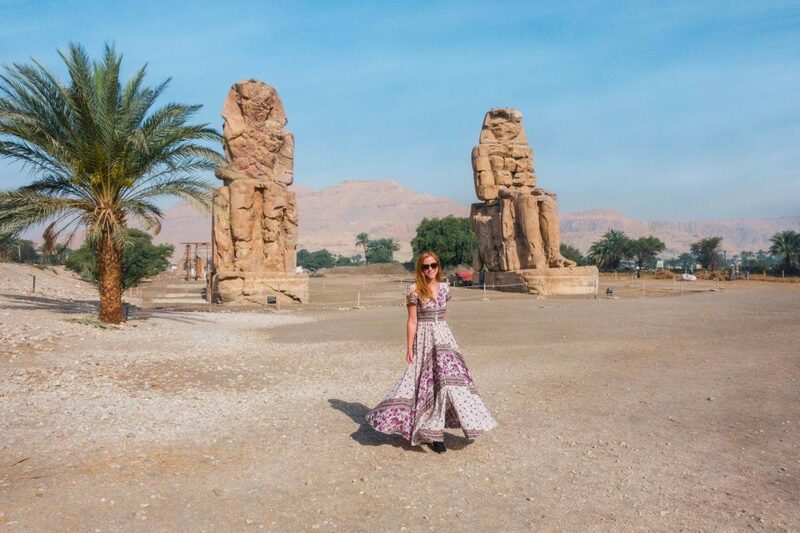 I do have to ask though, where did you get that gorgeous purple dress in the picture of you at the Colossi of Memnon? I love it ! thanks for your tips and advice! We just returned from 3 week trip that included Eygpt. We traveled on our own, no tour groups. We started in Cairo and did same things as you, flew to Luxor for several days, and then took day train to Aswan. Only 10 tourists on that train and we ended up with a police officer trailing us but I highly recommend doing it. You can buy tickets on railway website. It’s easy to hire drivers to visit sites in all 3 cities, no need to be on a tour. Food, people, and scenery in Egypt cannot be beat. We loved the trip. I plan on traveling solo. I’m in my late 50s so I don’t think anyone will bother me. I plan to go on my own, too. I’d rather have the flexibility. Hi Rosanna I agree.I plan to go to egypt to see a friend but undecided about going solo..Is it really safe?..And I do not like tours..I also like flexibility. . Have a safe Trip! Is there a need for walking sticks when visiting the pyramids and other attractions in other area of the dessert. Nope, it’s an asphalt road leading to the pyramids. Oh my gosh! You said you don’t understand what people are talking about!!! Say what???? I just got back from Egypt and people weren’t kidding. All they did was ask me for money non-stop! I’ve traveled everywhere around the world and this was the worst!!!!! I even got robbed in front of the Great Pyramid. A man jumped in my picture then demanded money. He grabbed my kid and cussed and yelled and threatened us. Blocked our path. I gave him some money to get rid of him and he kept asking for more and more. I’d give him another five and he wanted more. Finally, I took a $20 and threw it. He chased it and we ran back to our tour group. They wanted money for every little thing. Ask someone for directions and they wanted money. I dropped something and they picked it up, and they wanted money. It went on and on. A man told me my camera bag was open (which I knew) and he wanted money. It was horrible! And it came from every direction. And the hot air balloon ride was $300 cash a person. Not sure where you got it for $50. If it was that cheap, I would’ve went and taken my kids. The balloon ride was $50 everywhere in Luxor. I simply booked it at my hotel, and then met some people who were in the balloon with me and they paid the same at their hotel or agency. You should have asked at a different agency. Why You Should Visit Tunisia Now?